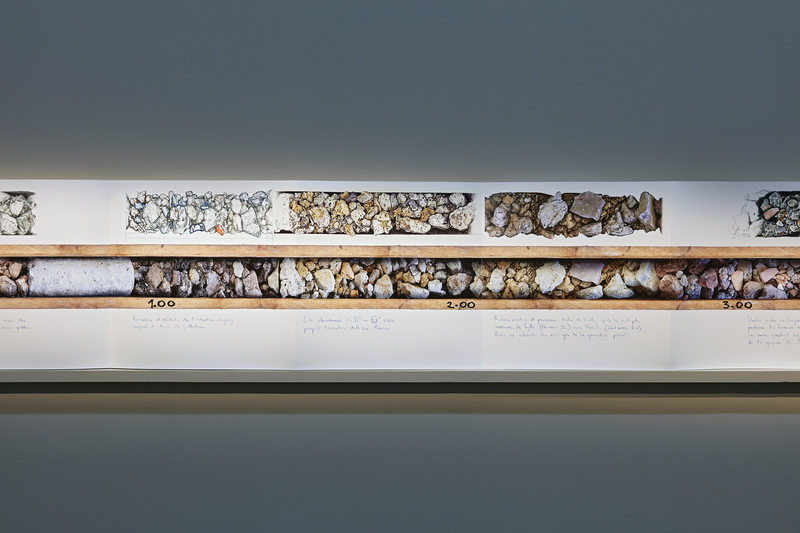 Where the Time Capsules sculptures show the cores in a vertical manner, Zig Zag Over Time plays with the notion of representing history in a linear – and horizontal – fashion. 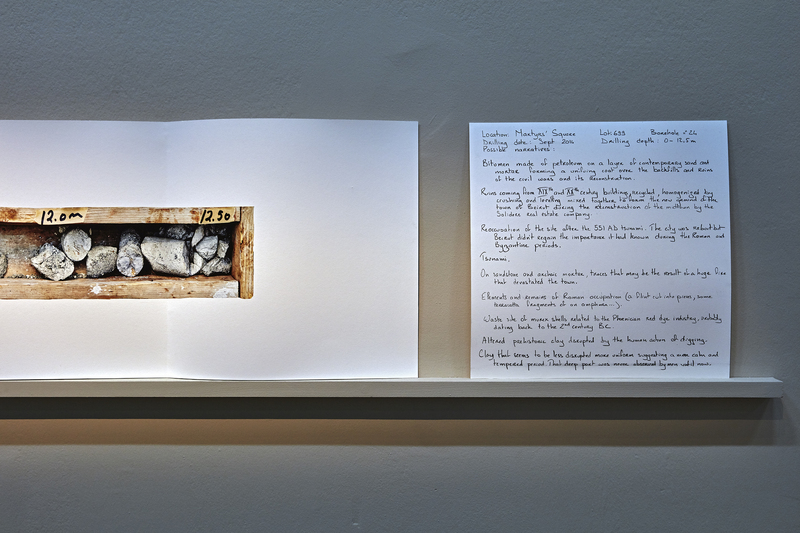 The notion of the timeline is the structural basis for these works, which combine photography, drawing and text. Ultimately, however, this notion – where history is fixed definitively as a series of factual events following each in chronological order – is subverted. The idea of historical linearity is questioned first and foremost in the idea of the zigzag, defined as ‘a line or course having abrupt alternate right and left turns.’ This relates to the core displayed in the works, where the course of geological time changes abruptly with the advent of wars, natural disasters and cycles of destruction and reconstruction. The idea of timeline as a fixed historical document is also subverted by the drawn and textual elements in the Zig Zag. 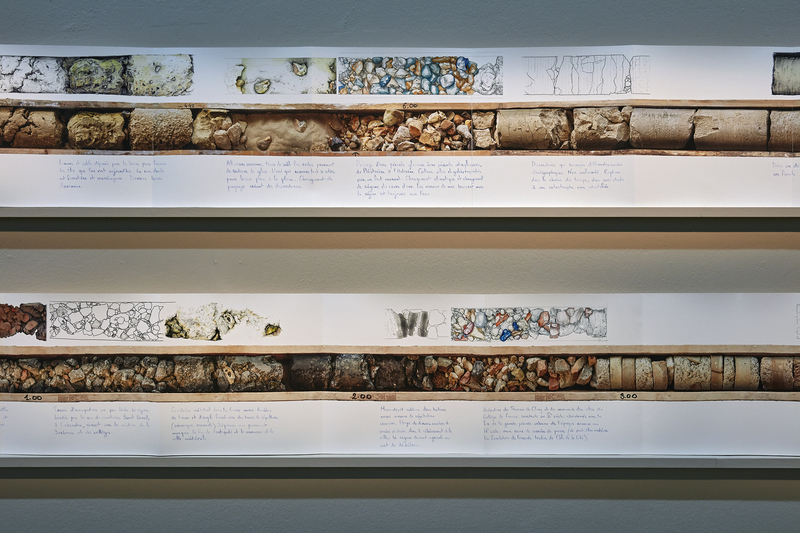 Hadjithomas and Joreige asked people from various disciplines – natural museum illustrators, prehistorians, and archaeologists – to draw sections of the cores of their choosing, introducing artistic interpretation into their timeline. 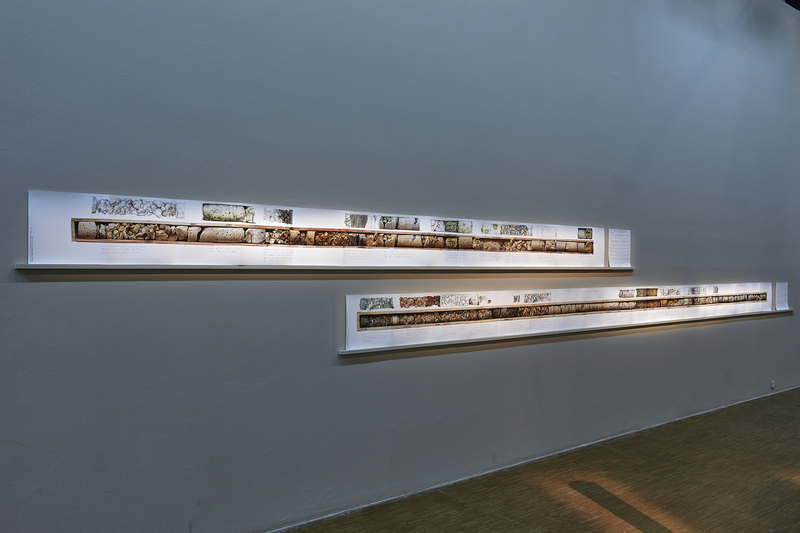 In addition, Hadjithomas and Joreige wrote ‘possible narratives’ for each section of the core, allowing a space for other interpretations – including the fictional and poetic – to emerge over time.